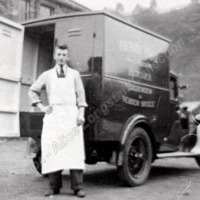 Delivery van of Henry Fray beef and pork butcher of Luddenden and Hebden Bridge. 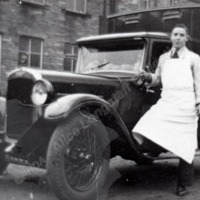 Fray sold out to Elias Hillyard just before WW2 and his name is just visible on the van side. 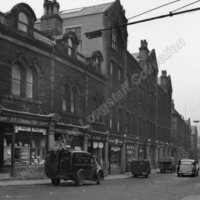 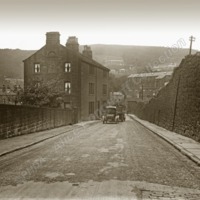 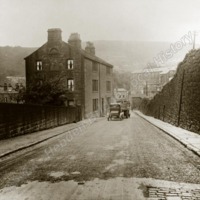 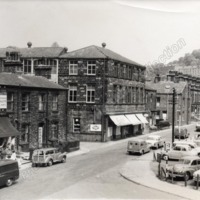 Hangingroyd Lane about 1962; on the right Market Place before landscaping.